There’s nothing better than a charger that charges multiple devices at once. If you’re looking for one, then AUKEY has a deal for $5.99 which you can’t miss today. 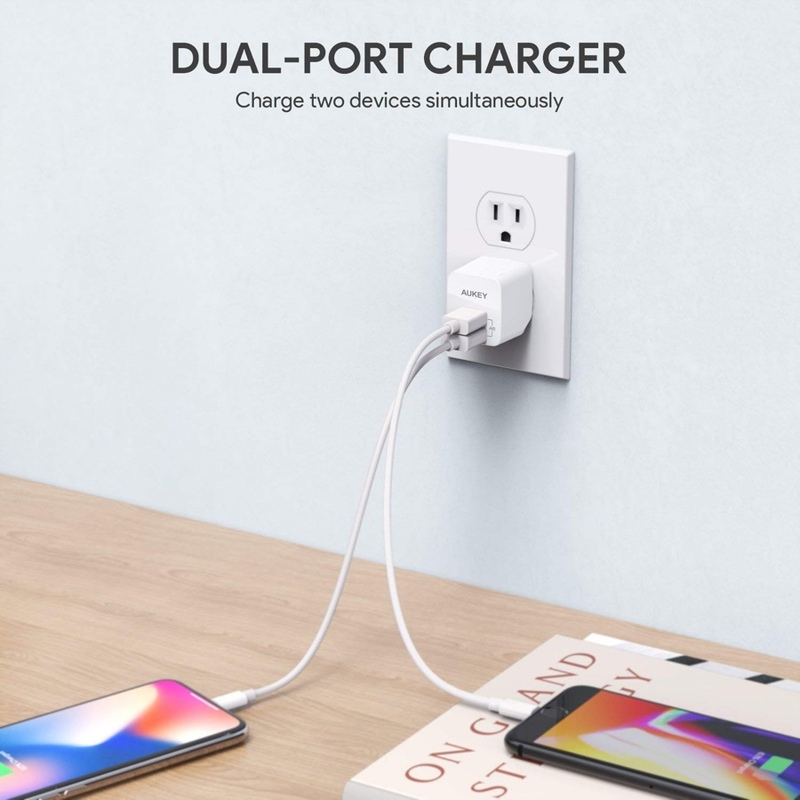 AUKEY makes some of the finest mobile accessories around and their wall chargers are some of the best in the business. Today’s deal, on a dual port USB charger from AUKEY is something which everyone should have. Why? Because obviously it has two USB ports, and, it will keep you powered up during your travels. And oh, this charger is so small that it will slip into a pocket of your jeans or your backpack and you won’t even notice that it’s there. But here’s the best part: the charger has foldable plugs therefore allowing you to stow it away without it denting anything at all. On the charging front, this nifty accessory features AUKEY’s AiPower adaptive fast charging. This means that whenever you connect a device (any device, literally) it will deliver the fastest safest charge up to 2.4A. That’s 12W per port, in case you’re wondering. If you have an iPhone, an iPad, or even an Android device, it won’t super fast charge it, but it won’t be slow either. Basically, it will get the job done in a great fashion. Absolutely brilliant. Since this is an AUKEY product therefore you can expect it to be 100% safe during day to day use.